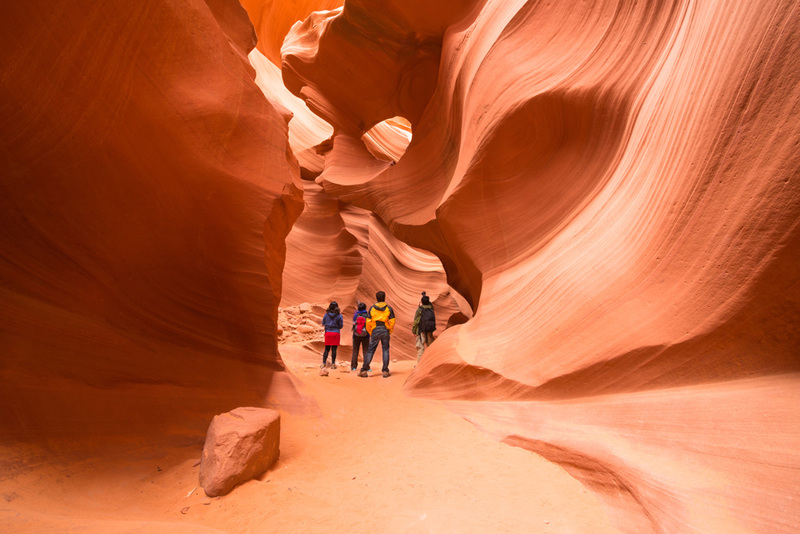 At One Day Tours, we will take you to two breathtaking places in Northern Arizona which are just 15 minutes away from each other. We travel in a small private vehicle with very comfortable leather seats and USB ports. We stop off for late breakfast or an early lunch at Denny's which is included in the tour. The drive from Las Vegas is very scenic and eye appealing on the way to Antelope Canyon, the world’s most photographed slot canyon. We go to Antelope Lower Tours which is approximately 75 minutes with certified guides. You must be able to climb down a ladder / steep stairs. 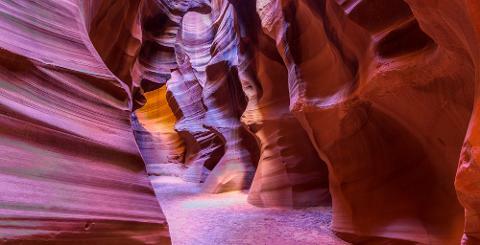 Red sandstone with convoluted corkscrew formations, dramatically illuminated by light streaming down into the slots are simply astounding. 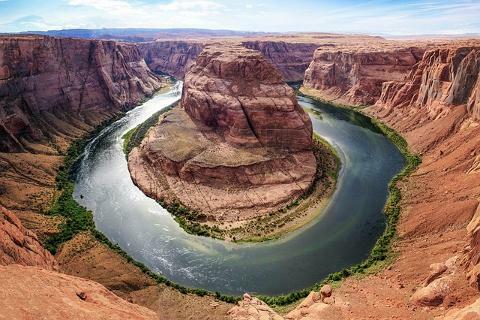 Horseshoe Bend is #1 attraction in both the Lake Powell and Page, Arizona area. From the parking lot, there is a hike on a dirt trail which is uphill and then down about 0.75 mile/1.2 kilometers each way with no hand railings. 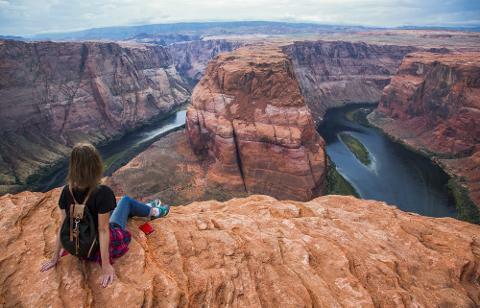 Look over the edge about 1000 feet down to a unique, extraordinary rock formation in the Colorado River. 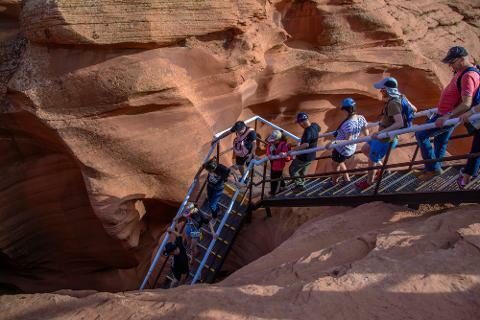 Bring comfortable hiking shoes, do not bring heel type, open-toed, or flip flops because of the footing in both Antelope Canyon and Horseshoe Bend. 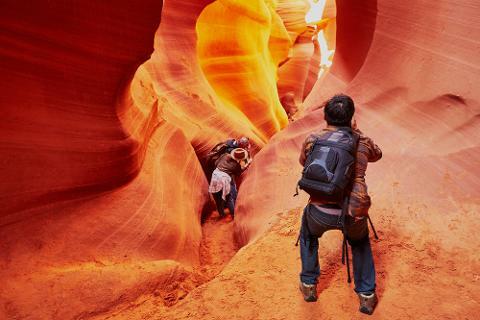 We are not responsible for canceled tours at Antelope Canyon due to weather or situations beyond our control.